This week I am running an essential oils and pets class on Sustainable Dharma, and I thought I would share some basics, on the blog this week! Like anything else, you have to use common sense and caution when dealing with essential oils and pets. Be sure to do research before using your oils with your pets! Remember to introduce oils slowly, and watch their body language. If your pet is uncomfortable, take that as a sign that the oil it too strong for them. You should be diluting your oils when used topically for sure, and they need even more when offered to your pet. We do not do a lot of topical use for our pets. We mostly diffuse and spray bedding and carpets. I am making some “flea collars,” this week because we have already noticed an increase here. 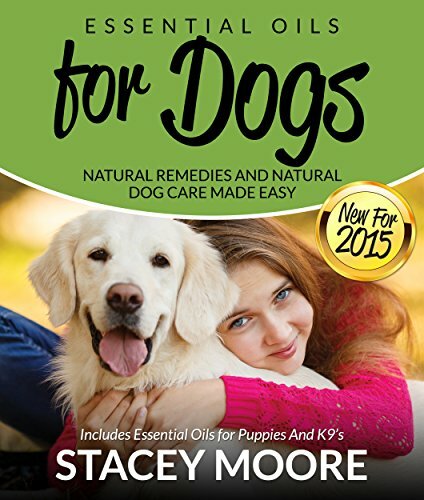 New to essential oils around pets? Never fear, everyone has to start somewhere! Here is a great beginners book for dog owners! I just got done reading this, and it is a great starting point some pretty simple recipes!